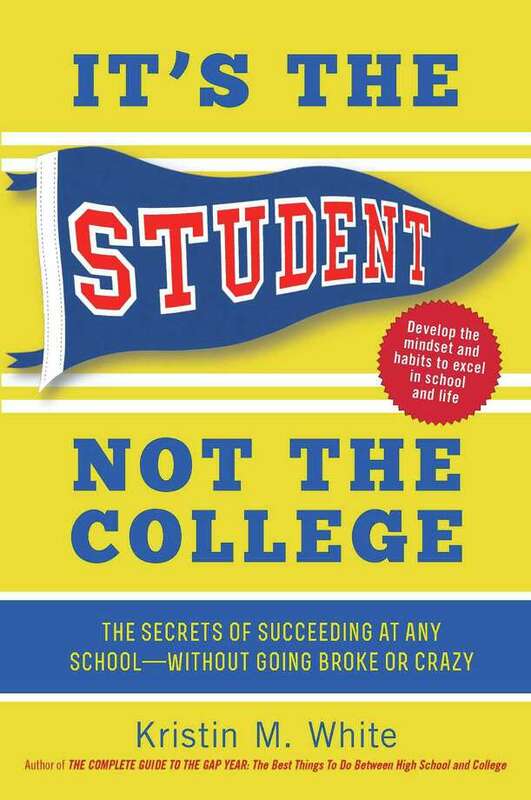 Darien resident Kristin White's new book "It's the Student Not the College"
For the past 10 years, Darien resident Kristin White, of Darien Academic Advisors, has been trying to help parents and students figure out how to get into college and what to do once they are in school. Now she has written a book -- "It's the Student, Not the College: The Secrets of Succeeding at Any School -- Without Going Broke or Crazy" -- that she hopes will do just that. In her book, White dispels what she says are common myths about college and defines the path to success beyond the collegiate years. We asked her about "It's the Student . . . ," why she wrote it and what both parents and students might learn from it. A: I found that the mania and madness surrounding top college admissions seems to be getting worse every year, and it has spread to other parts of the country and the world. I have clients in China, Australia, and South America who are just as stressed about getting into elite American colleges as kids here in Fairfield County are. I wrote this book to open up the discussion about college and what really matters. While I don't believe that an elite college offers as much value as many people think, I do think that families are forgetting what is really important. Studies show that students are not gaining skills in writing, critical thinking, or complex problem-solving while in college -- skills employers are looking for, but find lacking in today's applicant pool. Students aren't studying much or preparing themselves for a competitive global economy. I wrote this book with the hope that students will spend less time and energy on "getting in" to college, and focus instead on the things that they can do during high school and college to better prepare them to be successful as a student and in their early careers. It took me more than a year to write the book, but I really enjoyed the research and talking to various students, parents and experts. I focused on a few big studies, such as the one included in the book "Academically Adrift," by Richard Arum and Josipa Roksa, and also on a large multiyear study by Alan Krueger and Stacy Dale on the economic benefits of top colleges, and a Purdue-Gallup poll on happiness. I also reviewed smaller studies about success in college, and I spent a lot of time researching job search and what employers are looking for in entry-level hires. Lastly, I also drew on my own personal experiences working with hundreds of students over the last decade as an independent educational consultant. What is the single biggest misconception concerning the college application process? The biggest misconception is that students who don't get into what is perceived as a "good" college are doomed for mediocrity; and that those who are admitted to elite colleges are destined for success no matter what they do. The reality is success is in a student's own hands and not some admissions officer at Harvard or Amherst. What is the single most important message you would like to get across to parents? I'd like to remind parents that your kids have wonderful talents and abilities and they will mature and grow those skills over the years. Our job as parents is to help them develop those passions and gain the confidence to help them be successful in the future. This has little to do with a particular college or SAT score range, so it's OK to worry less about that. But it's also important for students who are high achievers and attending elite colleges to continue to grow and improve. Parents can remind their children that college is only a starting line, and they need to take charge of their education and career preparedness. Same question but to students. My message to students is that you shouldn't worry about getting into a specific college, but it doesn't mean that you can relax and surf the Internet or text friends all day. Once students stop worrying about how they will look to college admissions deans, they can take risks, focus more deeply in subject areas and maybe even find the fun in learning again. Imagine what these students will be like upon entering college if they concentrate on developing themselves and their own skills and exploring interests and passions. They will have a different mindset, a stronger belief in their own abilities, and a more personal connection with the material they study. When they enter college, they may be more engaged, engrossed in their work and ready to take on challenges academically, and in internships and careers. They will be ready to reach their goals and excel in their careers, and it will have nothing to do with the name brand of the college they attended and everything to do with their own preparation and determination. "It's the Student, Not the College: The Secrets of Succeeding at Any School -- Without Going Broke or Crazy" is available at Barrett Bookstore in Darien, at Barnes and Noble stores and online at Amazon.com. For more information email info@darienacademicadvisors.com or call 203-202-8082.